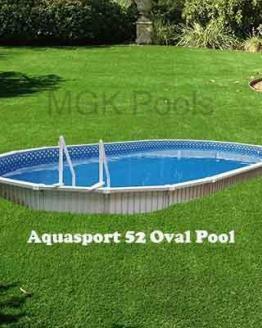 We sell the best 12′ x 20′ oval pools. Some are so strong that they can be installed inground or semi-inground. We have all aluminum 12 x 20 pools, we have resin frame oval pools with steel and aluminum pool wall options and we sell a wide selection of accessories to build a great package so you can filter and clean your 12 x 20 above ground pool. All our 12 x 20 pool walls are 52″ tall.